There is news, local news and hyper-local news. National papers write about national news, local papers about local news and hyper local sites concern themselves with events and issues in a much smaller area. Sometimes a town, borough or even an areas just a few streets in size. Hyper local news hounds live in the area they report on and are passionate about the quality of life there. Many have turned to producing their own news sites when local papers disappear or are not covering in depth the issues that matter. The hyper in the name gives a clue about where they do it too - on the web. 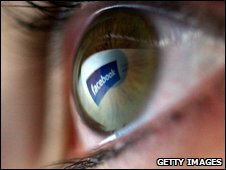 "No-one was doing online news on a daily basis for my area at all," said Ross Hawkes, the creator of The Lichfield Blog. "One local paper closed and the other updates only once a week when it is out." Tony Walley founded the Stoke on Trent hyper local site Pits 'n' Pots to tackle the issues that, at that time, the regional paper did not address. The main issues Mr Walley tackled were the politics and actions of Stoke-on-Trent city council. "At the time most of the parties were in a coalition," he said. "there were no individual party voices, the only opposition to that was the BNP." "We saw our city become more and more politically fragmented and saw extremists from the far right getting a grasp on it and we said we are better than this," he added. Pits 'n' Pots started out on the Blogger website and quickly migrated to a dedicated site as won a significant audience. Now it details many city council meetings, produces video interviews with councillors and opens up issues to debate among its regular visitors. Sites such as Pits 'n' Pots, The Lichfield Blog, Parwich, Ventnor Blog, Digbeth is Good and many others are in the vanguard of the UK's hyper local news movement. The passionate local engagement they demonstrate can be a springboard for social activism. William Perrin started the Kings Cross Environment site in a bid to improve the quality of life in an area of London about one mile long by half a mile wide. As the blog says it is about "efforts by the local community to keep the streets of Kings Cross in London clean and liveable" and reflected some, but not all, of the local activism aiming to end the area's rather seamy reputation. Now it has about 800 articles about the work that has been done to clean up the area and often acts as a rallying point for local campaigns. All these sites are trying to exploit the network effects that come into play when information, that can be hard to find, is made available for everyone. Freed of the hurdle of finding that information, be it the names of councillors or a contact to complain to, readers can get on and do something with it or about it. Mr Perrin, a former technology advisor to the Cabinet Office, is now running a project called Talk About Local. Funded by 4iP and others it aims to recruit and train 3,000 community activists to produce their own hyper local news sites. One difficult step those fledgling reporters will have to take is handling the relationship with the press officers and media relations teams at their local council. Mr Hawkes, from The Lichfield Blog, said it had an "fantastic" relationship with local press officers but said it took work to get to that point. "It's in the way you approach them," he said. "You need to know the pressure they are under as a press officer and what they can or cannot provide you with." But many hyper local news reporters are finding that those press offices do not take them seriously. 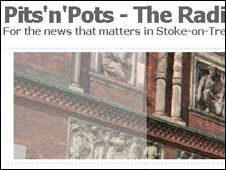 Pits 'n' Pots founder Tony Walley said it had a "tempestuous" relationship with Stoke-on-Trent's press office. Not, he stresses, because Pits 'n' Pots was overly critical of the Council. "We care for this area," he said, "We never set Pits 'n' Pots up to knock the area." Instead, he said, the issue was one of credentials. A spokesman for the council told the BBC that its guidelines only permit it to recognise media organisations represented by the PCC or Ofcom. While many hyper local sites, including Pits 'n' Pots and The Lichfield Blog, are staffed by former journalists they are not full-time reporters for recognised publications. Long-term negotiations with the press office has improved matters for Mr Walley and his co-workers but they are not alone in having problems. "Some local websites have an excellent relationship with press officers," said Mr Perrin, "but a worrying number have an appalling relationship with these sites, in most cases that's the council's fault." "These local websites aim to put a 21st century face on 19th century democratic structures," he said. "Its a legitimate form of modern expression." Mr Walley said many hyper local site operators were talking about producing a code of practice and conduct to help them operate on a more professional basis. "We want to be as credible as we can," he said.